The New South at the Grand Jubilee is one of the most sought after shows in Branson that brings you the best entertainment in the area this winter season. It is a variety show combining the best in classic and modern country music. Grand Jubilee is one of Branson attractions which features some of the funniest comedians in town, as well as incredible dancing and singing performances of unbelievably talented performers, and a multi-talented cast that brings high-energy and the best production show in Branson. 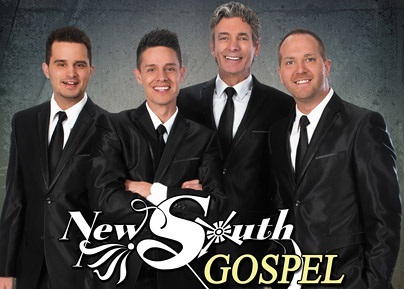 Watching the New South performs will totally wow you and you will surely fall in love with the perfect harmonies and stunning performances of one of the best quartets ever to perform in Branson. Making up the most coveted four-member singing quartet include David, Mark, Jason & Jon that sing today’s country hits. This fascinating singing group features amazingly well-blended harmonies as they showcase their talents with hot country favorites, gospel music, oldies, and more. The quartet has been recognized as the ‘Quarter of the Year’ and ‘Band of the Year.’ New South has been awarded also as ‘Branson’s Best Variety Show,’ while other performers of the quartet, including Mike Patrick, has been listed as ‘Emcee of the Year,’ ‘Fiddle Player of the Year’ and ‘Bass Guitar Player of the Year.’ The power vocals of Jackie Brown and Todd Bradshaw will also entertain you as they take the center stage at the Grand Jubilee. The hilarious comedy team of Jamie Haage as ‘Jim Dandy,’ and emcee Mike Patrick will bring you to the edge of your seat as they show their antics. These great performers and many other entertainers will treat you up close and personal as they show their incredible talents. During the holiday season, Grand Jubilee brings the true significance of Christmas. With familiar Christmas tunes and a touch of the charm of the winter season, the group will have you feeling right at home with their stunning performances for the holiday seasons. You are sure to be impressed and filled with joy at this must-see Christmas presentation show at Grand Jubilee. The award-winning New South will astound everyone as they perform on stage with dynamic presentation of their harmonious music and energetic act. From country and hand-clapping gospel songs, to decades of Rock & Roll favorites, the New South at Grand Jubilee is sure to surpass expectations of any age. Comedic performances are endless and will keep you absolutely shower with much laughter. It isn’t hard to see why the talented quartet at Grand Jubilee is considered one of the best performers in the area as they will stay with you long before your vacation is over. This two-hour New South extravaganza takes you from the early roots of southern gospel to hand-clapping gospel hits of today. The New South at the Grand Jubilee is one of the best shows in Branson where you can enjoy more fun of great music, dance and comedy performed by talented cast of the show.